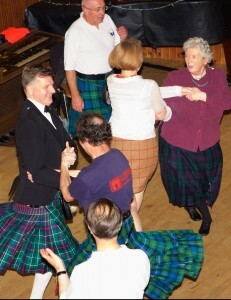 ...the LGBTQI Scottish Country dance group for Edinburgh and the surrounding areas. Interested in ceilidh and Scottish country dancing? Join us. It’s good fun… and the first evening is free. We meet on Monday evenings from 7.30pm at St Ninian's Hall, Greyfriars Charteris Centre (formerly Kirk O’Field Church), The Pleasance, EH8 9RR. 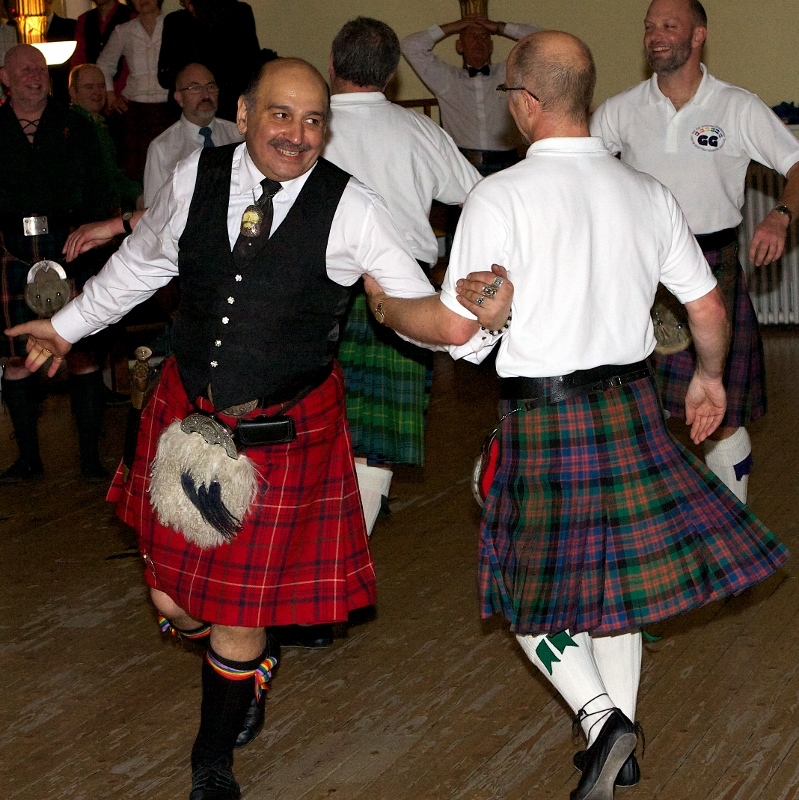 Gay Gordons Edinburgh is a LGBTQI not-for-profit, community-run Scottish country dance group, formed in 2009. We have close links with the Gay Gordons groups in London and Manchester. Dancers of all ages and levels of experience are welcome, and new members are welcome at any time. The emphasis is on fun. All we ask is that if you come to one of our dance evenings, you’re happy to dance with everyone – man with man, woman with woman, or man with woman! A kilt – that’s optional! You can join for the whole year, or turn up any Monday and pay on the door – it’s £5.00 for non-members, £4.50 for members, and your first evening is free. Annual membership costs £10. • April 29 to June 3, 2019. No obligation to sign up for complete terms. All very flexible. Our current venue is Greyfriars Charteris Centre (formerly Kirk O’Field Church) at the Pleasance, Edinburgh EH8 9RR. Contact us to find out more… or just come along. We’ll be pleased to see you! STOP PRESS: Winter Ceilidh 1 December 2018 at the Columcille Centre, 3 Newbattle Terrace, Morningside, Edinburgh. Dancing starts at 7.30pm prompt. No bar, so BYOB. Soft drinks provided.